This sounds like something I’d really wish to see (and I can stream it on Netflix!). 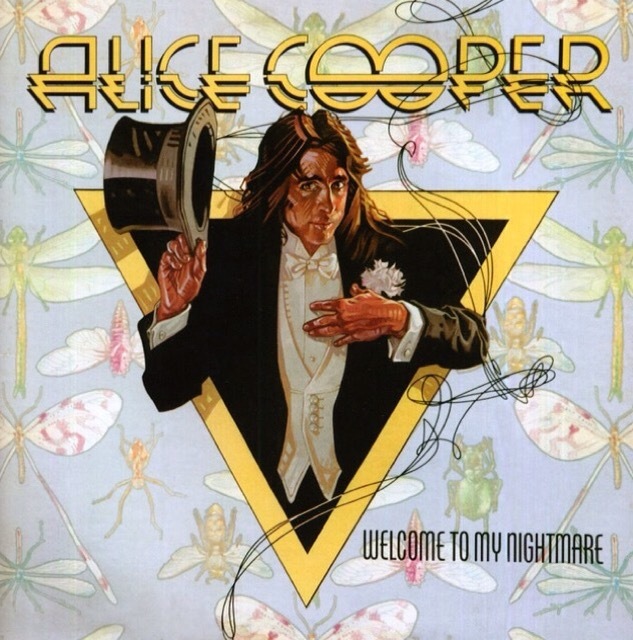 The man has created simply some awesome artwork throughout his career. 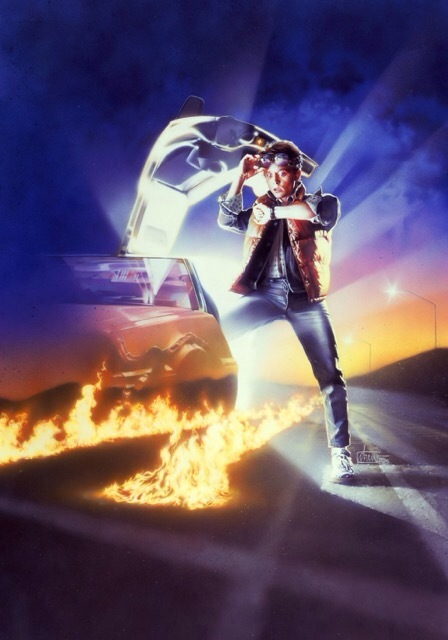 Read a short while back, “We Don’t Need Roads: The Making of the Back to the Future Trilogy” by Caseen Gaines and the author wrote a nice segment about Struzan’s work in the trilogy. 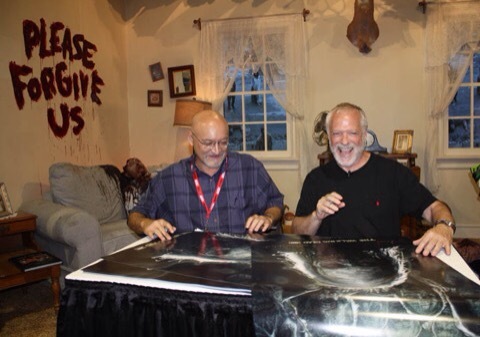 Interesting you have a photo of him signing his “The Thing” poster at the end. It’s not my favorite for that John Carpenter film, but I certainly recognize it is now the iconic graphic for it. Well done. I can see myself really getting into this. Talk about a number of iconic pieces. 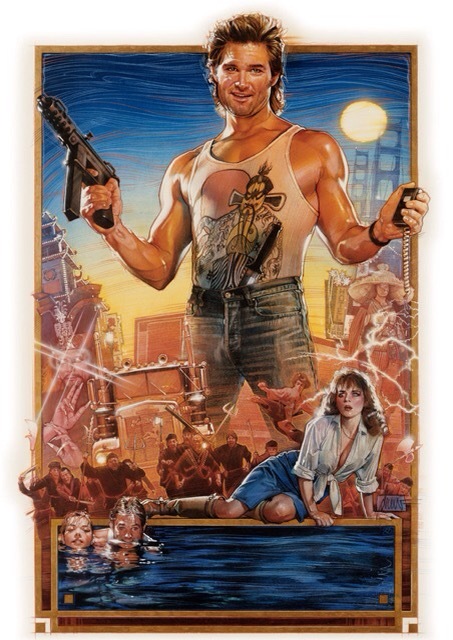 That Hook poster in the background is fabulous as is the Big Trouble in Little China work. May favorite may be at the very end. 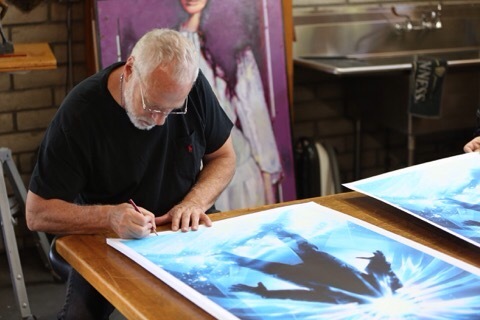 You can see working on or signing a poster of The Thing! I love that movie and that poster image is classic! You really should check this documentary out if you’re at all interested – well worth the time! It’s funny how most people don’t seem to get as excited about movie poster art as I do (I knew I wouldn’t get many comments on a documentary review but at this rate it’ll be my least commented on post ever! Lol). 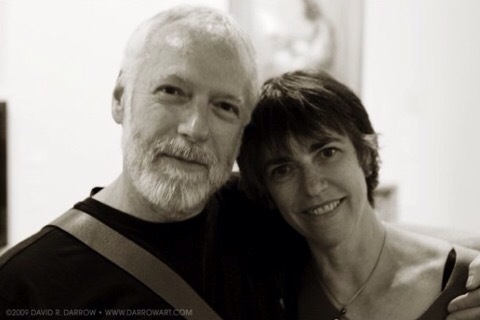 Which is a shame as I think Struzan is brilliant & his art makes you want to SEE the movie. 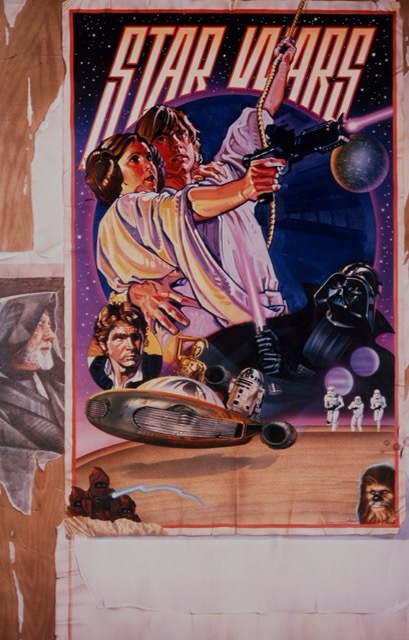 🙂 And you’ve mentioned my number one favorite Struzan poster which I mentioned not having mentioned. 😉 The Thing has always been my favorite of his – love it! I don’t own the documentary but I want to pick it up as I really want to see it again but if I remember correctly, he didn’t have much to go on when creating that one (he usually has images to work off of and knows the plot & all that). So he kind of just had to make something up for The Thing, I believe. 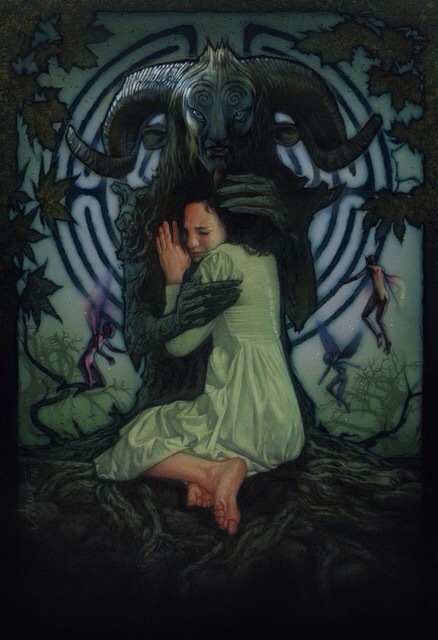 Movie poster art has always made an impression on me dating back to when I was a kid in the 80s. Our state newspapers had small movie poster prints in their Friday additions to advertise new films for that week. I would cut them out of the paper and collected them. I didn’t get to go to the theater as much as I wanted back then, but the posters and the reviews kept me in the loop. 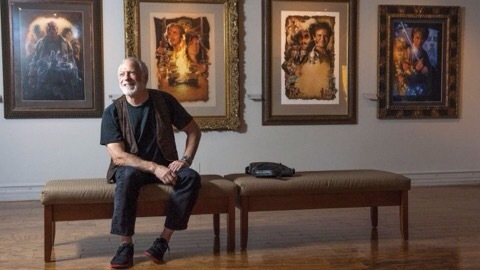 This is a great article from CINEMA PAROT DISCO highlighting the work and career of legendary movie poster artist Drew Struzan. All of those classic hand crafted posters like Back to The Future come from this brilliant mad scientist. Cheers eh… I really enjoyed your review. Sadly, this doc is not on Netflix Canada. I’m excited to see it. I’ve kinda been aware this documentary existed, but sounds like I really must get round to watching it. Movie posters these days are so much less inspiring than they used to be. Marvel always try to do Struzan-like things with their final posters, albeit with photo collages, but it’s not the same (not to mention the fact Marvel seem to feel the need to squeeze the entire cast on). This is so interesting! It’s incredible how large the movie world is. Just when you think you have a good grasp on the industry, you realize you didn’t know about a big chunk of it. I’ve never actually put much thought into poster art, but this is really incredible. As much as I hated ET, I really like the poster. I rather just look at that. I have never heard of Struzan but this looks really interesting. After Close Encounters I was looking for a really good alien movie. Instead E.T. turned out to be a few seps below a prenatal Saturday morning cartoon. At least it’s a movie kids can go see and tghey do need something to latch onto. But as a “sophisticated” -cough-cough- adult I was hoping for something a lot better. Time for me to get back to my Bullwinkle reruns. I didn’t even really know who this was, but apparently if I stumble across it I should check it out. The artwork is familiar though! 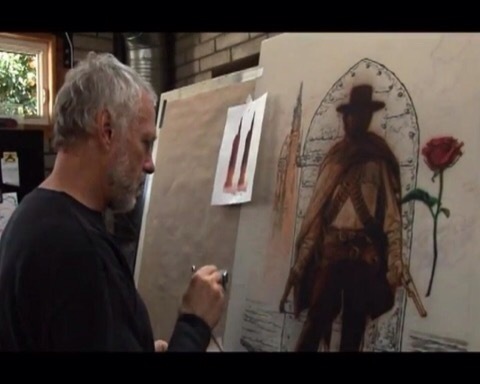 And I freaking LOVE that artwork of The Gunslinger! Big time awesome! I started The Dark Tower series, I just need to finish it. I enjoyed what I read though, and there were some lines in there that I LOVED. Ah, maybe my next lot of reads!